In January Bro. Larry Wise had to have a stent inserted into one of his arteries that was about 70% blocked. He came through very well and is on blood thinner and other heart medications. Also in January Sister Dena Mae Wise had to be hospitalized with suspected stroke with numbness in her leg and then developed Pneumonia. She was very weak and spent time in rehab in Pontotoc Hospital where she was diagnosed with shingles which were very painful. She was hospitalized again in April with Pneumonia and had a heart procedure done in November to have a mesh inserted over her heart to prevent strokes. She is doing better but needs to hold to something or someone to get around. It was a difficult year for Sister Shanna Wise’s father, David Hudson, as he had to have emergency surgery for a brain abcess the first part of the year and hard a hard time recovering from that. He than fell and broke his femur bone later in the year and was in serious condition for awhile but is now in rehab in New Albany. Also Sister Shanna’s mother fell and broke her hip. Sister Dena Wise’s father, Dean Browning, had surgery in January to repair a hernia that had developed around the incision of prior colon surgery. He did very well. Sister Tammy Wise had an up and down year in her battle with cancer. After getting a cancer free report early in the year, she had to go to ER in October with severe pain in her back and shoulders and difficulty breathing. Tests showed she had four fractures in her spine. She had surgery later for two of the fractures and after that difficulty breathing continued and scans showed she had two cancerous nodules, one in each lung. She has had three months chemo and results indicate the cancer is almost (80-85%) gone. However, she is to have three more months chemo on hopes it will be a long term remission. We pray that it will. In March Brother Gerald Whitehead fell and broke his ankle and had to wear a boot cast for about six weeks before it healed. He has recovered but foot still swells and has to wear sneakers rather than any dress shoes. 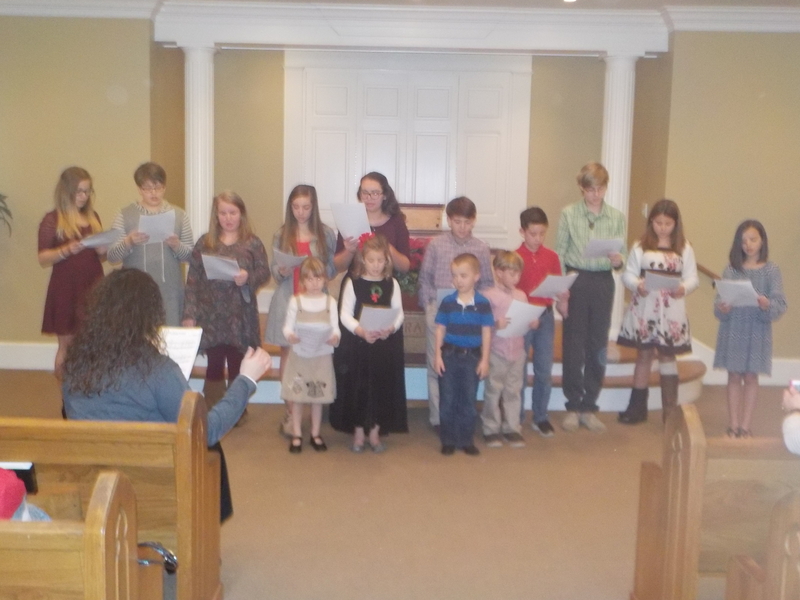 We did not baptize any new members during 2015 but we were blessed with two new members as Brother Ronnie Huddleston and his wife, Debbie Huddlestom asked for a home with the church on Easter Sunday by way of letter from Pine Hill Primitive Baptist Church. 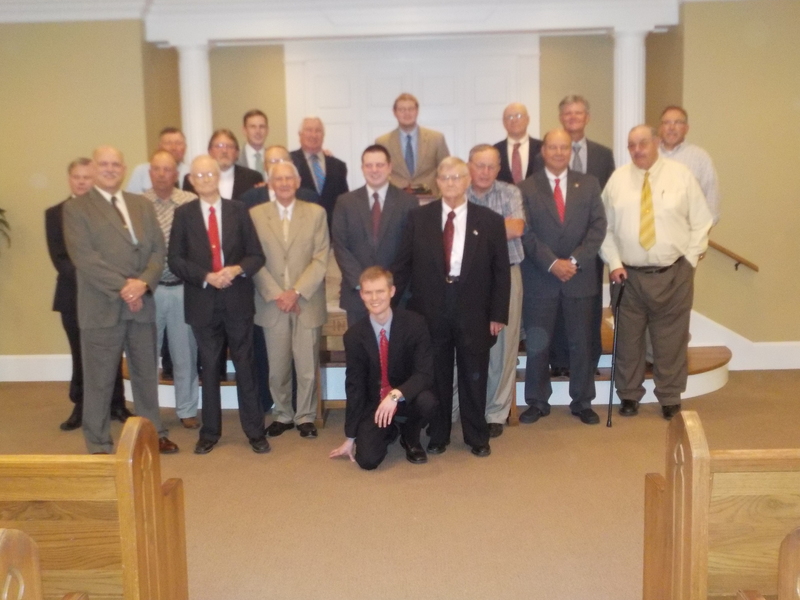 They were joyfully received and the church subsequently received letter of dismissal from Pine Hill. Sister Doris Gaines’ daughter, Connie Kelly, had two major surgeries connected with gall bladder problems and spent many days in the hospital but is doing finbe now. Brother Adam Wise graduated from New Albany High School in May. Adam is the son of Brother Phillip and Sister Denna Wise. Also graduating in May was the daughter of Brother Rusty and Sister Tammy Wise, Victoria Wise, who graduated from Tupelo High School. Bethany Church called for the ordination of Brother David Wise to the full work of the gospel ministry and it was scheduled for Saturday afternoon, May 16, as part of our May Communion meeting. The ordination was blessed with many Elders and deacons with Elder Josh Winslett doing the questioning and Elder Larry Wise delivering the charge to Brother David. Presbytery that sat in the ordination of Brother David Wise to the office of Elder in the Primitive Baptist Church. Sister Caleigh Coleman had the misfortune of breaking her toe while in Florida prior to the start of fall school term and had to wear a cast for awhile while it healed. She also had to have surgery to remover her appendix while visiting her father in Wisconsin during Christmas holidays. Sister Melba Beaman’s husband, Bob, lost his brother to death in July as he had been in ill health for quite some time. Sister Dena Wise’s granddaughter, Suzy Bishop had knee surgery on August 20 and had to wear a cast for several weeks and then take therapy and she is back walking normal and found her another full time job. 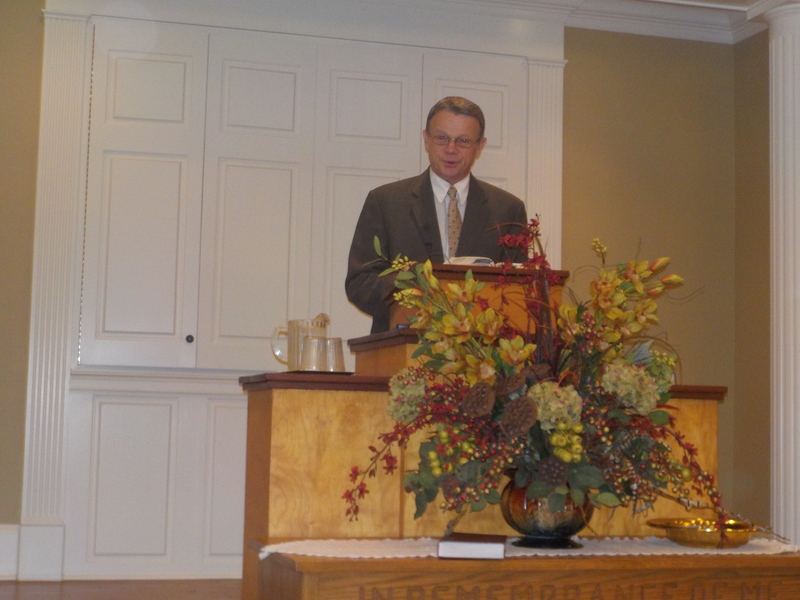 Bethany was blessed with an excellent September annual meeting with Elder Michael Gowens delivering 4 messages of doctrine and experience that all seemed to enjoy. 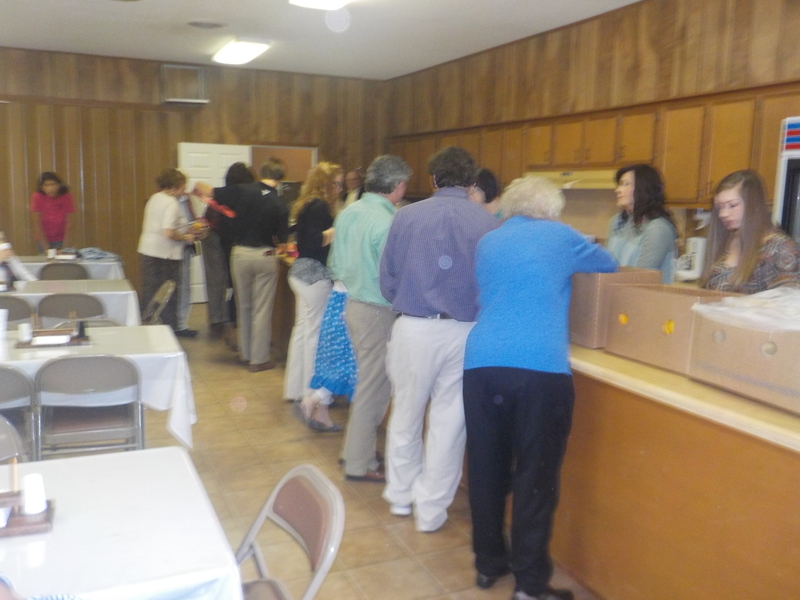 We were blessed with good visitation and great food and most especially the presence of the Lord. 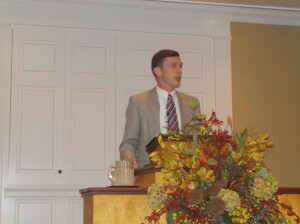 Elder Gowens has since undergone cancer surgery and the prospects are good for a complete recovery with no treatments. Sister Peggy Hall went to Virginia in September to see a specialist for her back and spine that has been causing her pain and causing her to draw over. She was advised to take water aerobic exercise therapy and he would see her again in April this year. Any surgery performed would be major in nature and very complicated. Sister Sherry Elder has surgery in September to correct a female problem and after initial complication has recovered very well and also her mother-in-law had cancer surgery and is doing very well. Brother Jeremy and Sister Hillery Wise’s daughter, Carol Anne, had surgery to remover her tonsils on December 16 and she did well and fully recovered. Sister Bobbie Hale was given a reception in honor of her 80th birthday on December 31 by her family and was attended by many relatives and old friends. A birthday cake, punch and other food was served to the guests. 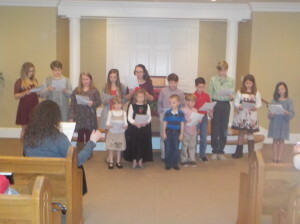 Bethany enjoyed a good Christmas singing with a good congregation and excellent singing and the youngsters were blessed to sing their Christmas songs. This was preceded by a pizza lunch and the assembly of fruit baskets to deliver to those in need.